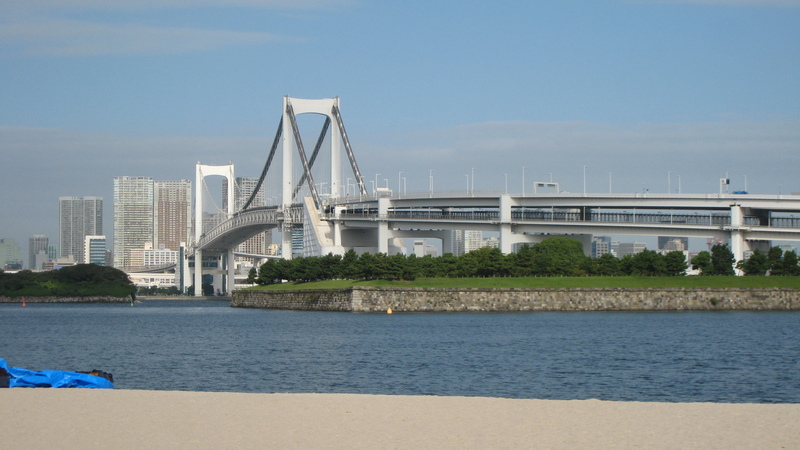 Last Saturday, my husband and I together with our friend went to Odaiba. We were there around 7:30 in the morning and I was amazed by how it was different from my previous trips. Since almost all shops and restaurants are still close, there was no trace of the hustle and bustle created by local and foreign tourists going to the malls for shopping, eating, or sightseeing. 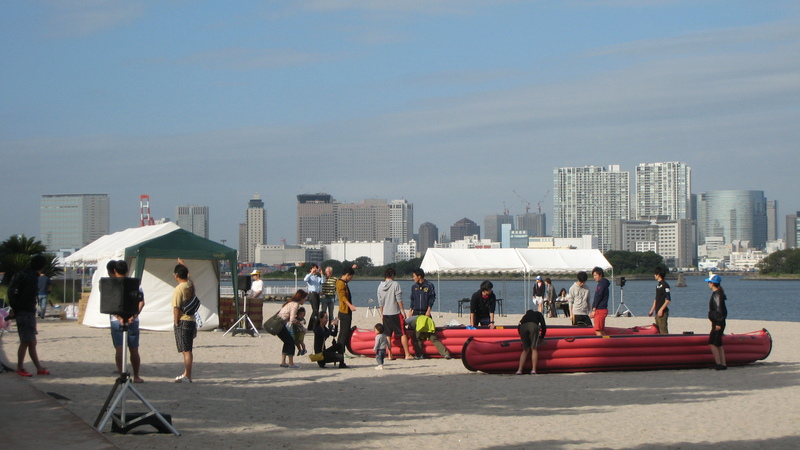 As we reached the Seaside Park, we saw some people already preparing for the E-Boat Race event. 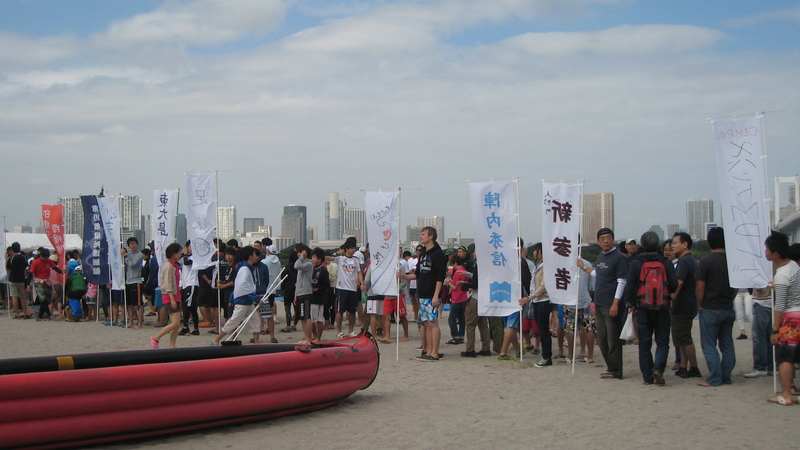 The said event is an annual activity organized by the Odaiba E-boat Disaster Prevention Exchange Games. 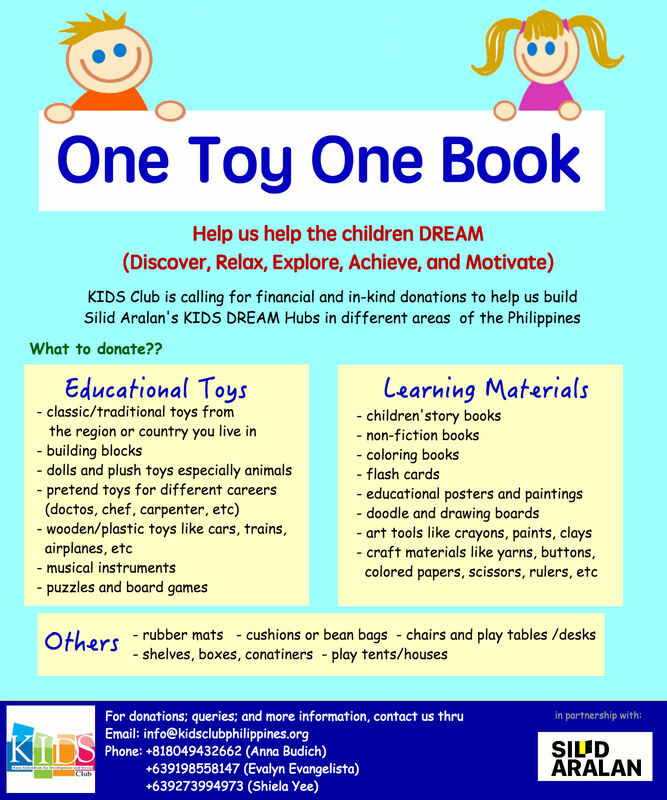 It is part of their efforts to engage people in disaster awareness and preparation particularly those that occur in the water-related incidents. Competing groups were classified into three: collegiate, elite, and general public. For this year, there were about 30 teams that participated coming from different groups, both professional and novice. 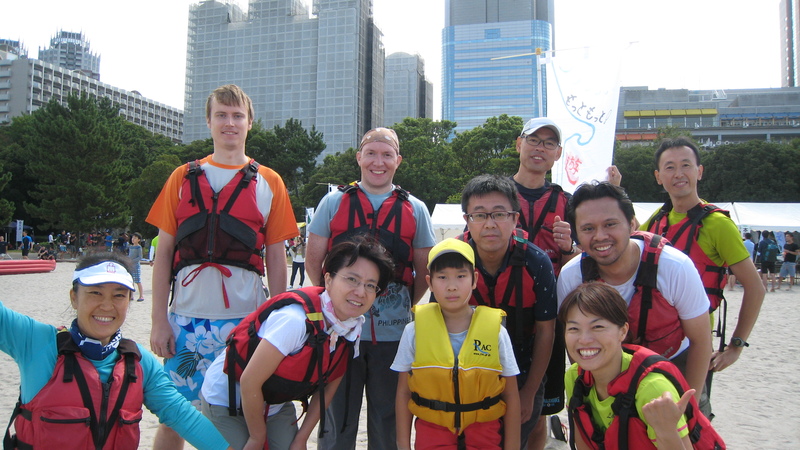 My husband and our friend joined our friends from Yokohama as they compete in the E-Boat Race under the general public group. Although it was the first time that the group met, coordination and communication amongst each other were not a problem. It was a great experience to catch up with old friends and meet new ones. 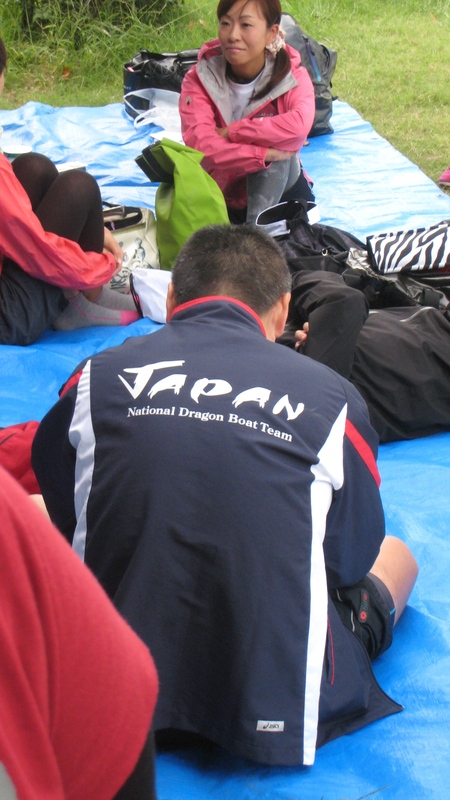 Who would have thought that our tent will be beside the Japan National Dragon Boat Team?! 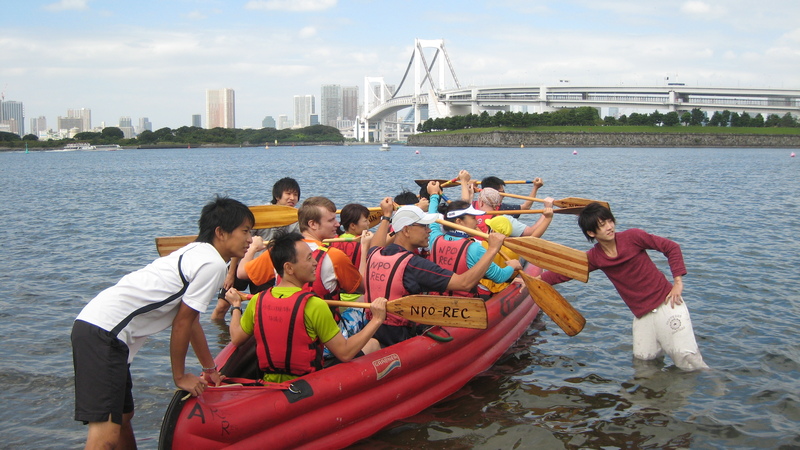 As first timers at the Odaiba Eboat Race, we were not as bad as we thought. Our team did quite good considering that a lot of the other teams are professionals. Instead of focusing on winning, we have decided to just enjoy the experience.